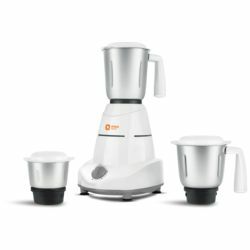 The elegantly designed Orient Electric Essentia Juicer Mixer Grinder is your best companion in the kitchen if you want to save time and ease the process of cooking or making juices. Its specially engineered stainless steel juicing sieves will effortlessly make juices, smoothies, milk shakes and a lot more delighting you every time. 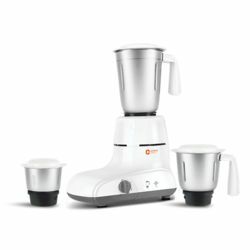 It has been ergonomically designed to offer the best of mixing, grinding, pureeing and juicing in a single compact unit. The large pulp collection chamber allows the user to use the juicer for extracting more quantity of juice without the need to throw pulp frequently. Its specially designed pusher allows effortless feeding of fruits. Other salient benefits of this all-in-one juicer mixer grinder are pulp collector, juice container and specially designed SS sieve for optimal juicing. 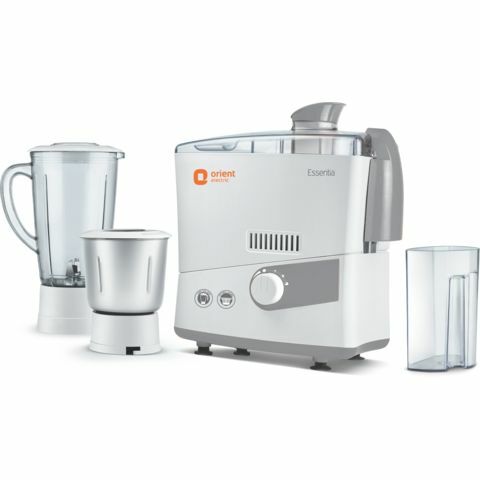 Make your life easier by bringing home the feature packed Orient Electric Essentia JMES50G3 Juicer Mixer Grinder. 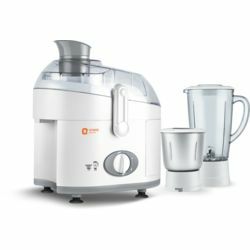 The elegantly designed Orient Electric Essentia Juicer Mixer Grinder is your best companion in the kitchen if you want to save time and ease the process of cooking or making juices. Its specially engineered stainless steel juicing sieves will effortlessly make juices, smoothies, milk shakes and a lot more delighting you every time. It has been ergonomically designed to offer the best of mixing, grinding, pureeing and juicing in a single compact unit. The large pulp collection chamber allows the user to use the juicer for extracting more quantity of juice without the need to throw pulp frequently. Its specially designed pusher allows effortless feeding of fruits. Other salient benefits of this all-in-one juicer mixer grinder are pulp collector, juice container and specially designed SS sieve for optimal juicing. 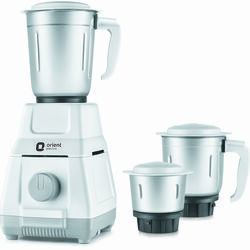 Make your life easier by bringing home the feature packed Orient Electric Essentia JMES50G3 Juicer Mixer Grinder.